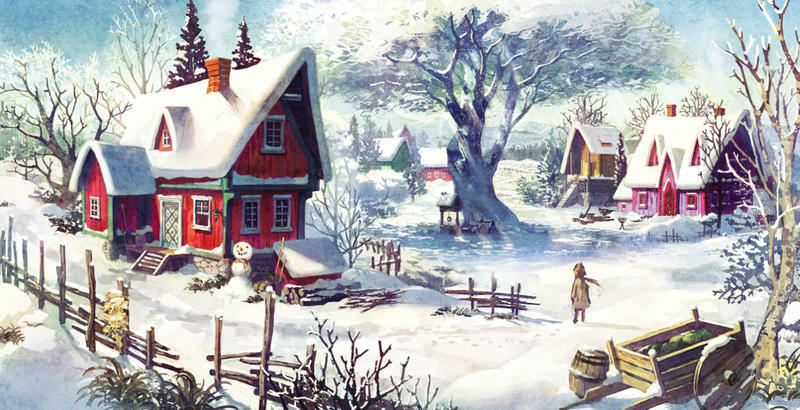 I Am Setsuna post-review thoughts - Does it cross into "classic" territory? 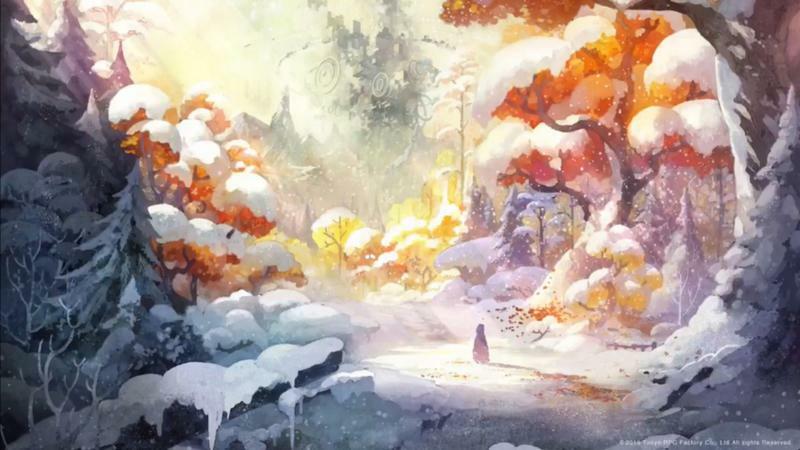 When in preparation to write my review for I Am Setsuna, I brought myself to the very last dungeon of the game, and the most amazing feeling rushed through my veins. I wasn’t ready for this game to end! In a day and age when games laboriously overstay their welcome, with some developers aiming for focus-tested times of how long a $60 game should be, it’s a genuinely refreshing feeling to come to the end of a gaming experience, especially an extended one like a classically styled JRPG, and to not want it to end. So, I wrapped up my review to put it out in a timely manner, and I have since sunk another three hours into the game. 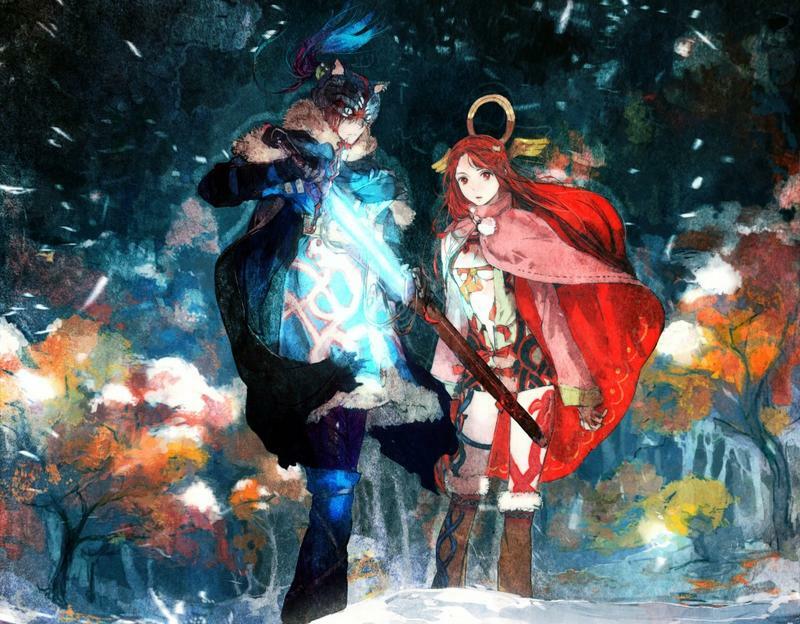 And no, while my feelings haven’t changed from it being excellent JRPG and one of the best throwbacks to emerge from this retro movement we’ve been in for a few years, I’m starting to feel a little something extra from I Am Setsuna. A small spark slowly growing to address the one area I questioned negatively about it in the original review. I’m starting to feel like that this game could become one of those sentimental favorites that I look back on and smile, the same way that I do with Chrono Trigger, Final Fantasy X, and all those that inspired it. I’m starting to think this could become a “classic” and not just a novelty. Because in these extra three hours, I’ve done absolutely nothing to extend the game’s plot. Everything I’ve done has been for the sake of just soaking in this game’s beautiful world, revisiting towns, talking to characters and seeing how they’ve changed since they exited from the story, re-conquering dungeons, you know… getting to know the finer details in a game’s world. You see, in most classic JRPGs, there comes a time in the game’s plot where you reach “The point of no return.” The game will set off an obvious alarm in the story which indicates that “This is it! One step closer, and you’re finished!” Any game worth extending will drop you an airship, open the world-map to total exploration, and let you close out its story at your own pace. Chrono Trigger decked the game with sub-quests that furthered the protagonists’ character arcs. Final Fantasy Tactics opened up fun cameos and a secret dungeon loaded with treasures. Final Fantasy VI’s entire second half of the game was an open-world adventure aimed with reuniting the party. Who can forget Final Fantasy VII and how it allowed players to breed countless generations of Chocobos? What set games like this apart though is that they dragged you through a linear storyline, teased a glorious world awaiting discovery, and they got you so invested that once the momentum of freedom finally arrived, the shackles exploded. The world is waiting, so get on out there! 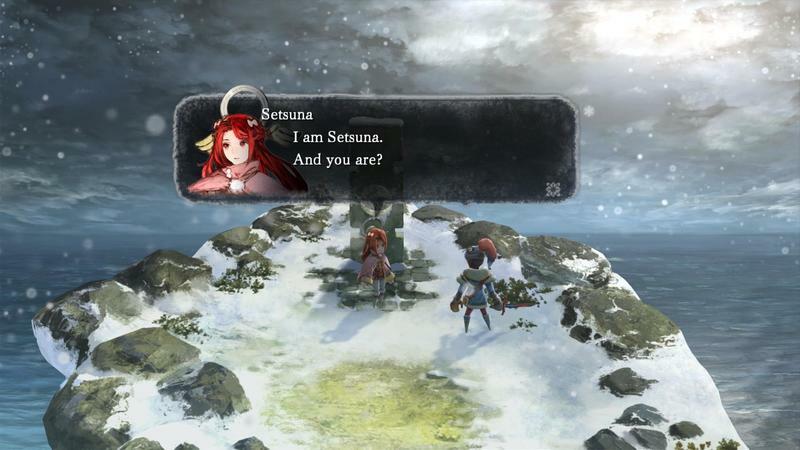 I Am Setsuna plays it old-school. For the first 20 hours of the game, it pulls players by a string through a melancholy world, populated by empathetic people and a sense of unifying sadness and desperation blanketing the world. 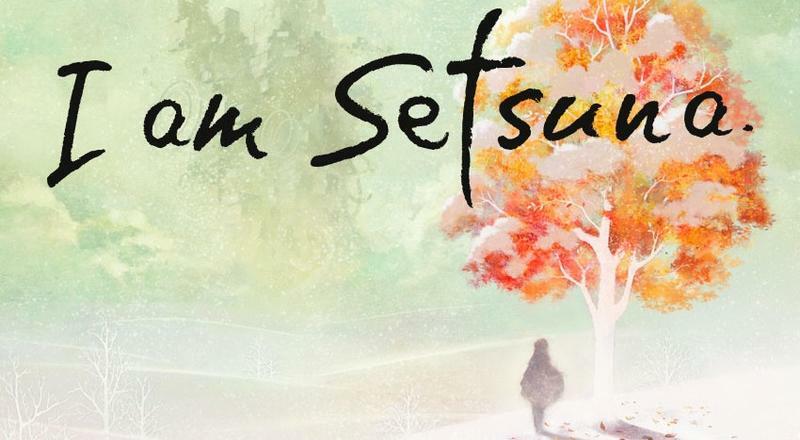 And just when the moment is right, a massively motivating event takes place, and I Am Setsuna opens the floodgates and lets players seek out all their favorite moments with a much happier tone… and yet so much more! Three hours later, and I am nowhere close to being done. This might turn into a whole summer project if I’m not careful. Here’s what I’ve so far that keeps me going. 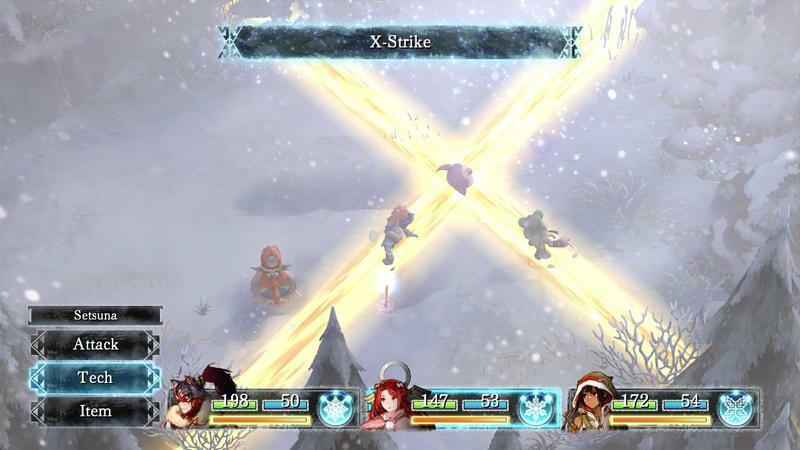 Ultimate weapons… every good JRPG has got ‘em, and I Am Setsuna is no different. Like Chrono Trigger, this game teases players with mysterious treasure boxes that can’t be opened until a certain point in the story. Now that the point has come… I want to find every single one! They are loaded with overly powerful weapons for all six playable characters, as well as a special Orichalum mineral that boosts their stats beyond their normal limits. More powerful “Spritnite” techniques can be kicked up too. In Chrono Trigger protagonist Crono’s ultimate ability “Luminaire” is widely known as one of the most game breaking spells in JRPG history. From the moment you unlock his final ability and slap a Golden Stud in his accessory slot, 5 MP can win all but the most complicated boss fights. 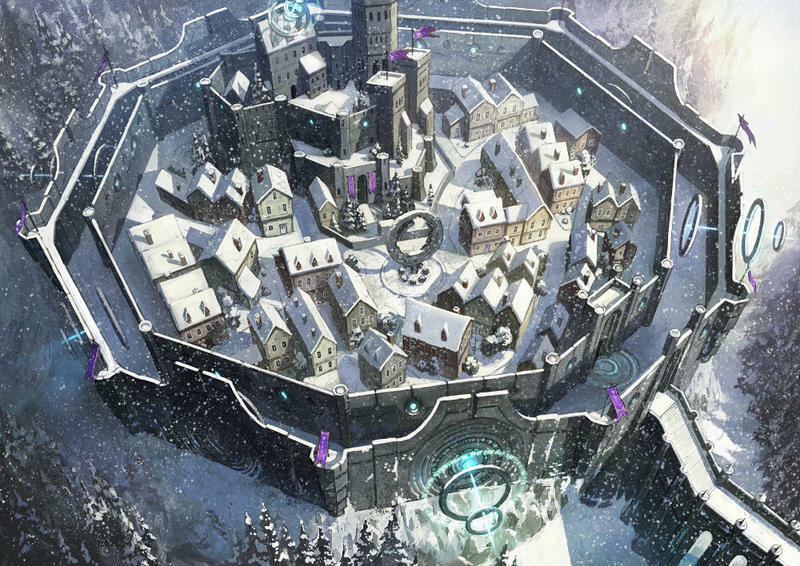 Setsuna owns the “Luminaire” spell in I Am Setsuna, and while not game breaking, it’s certainly powerful. When timed with a Momentum boost, it hits all enemies for big damage, heals her party members, and casts re-raise in them, meaning they can’t die! Powered with some SP Recovery fluxes, assuring it’s always ready for use, and Tech Power fluxes, this can be nearly as game-breaking. Speaking of Fluxes, this game must be pure “hurts so good” hell for the completionist crowd. I’m casually building my Spritnite techs just by making them more powerful, but I can see this group of fanatics digging in and making the most ideal moveset imaginable. ATB boosts, SP recovery, Defense boosts, combo-heavy building, there are so many ways to go from here. It’s a herculean task that would take many many hours, and it’s impossible for me since I didn’t discover Fluxes or Momentum until 12 hours into my game! Maybe a second playthrough would be more rewarding. In in the same vein as completionists, recipes are still hard to find. The most basic recipe in the game can be found in the second town, and I still don’t have all the ingredients to pry it from its owner’s hand, nor do I know what I’m missing! The “Snow Chronicle” doesn’t give any hints, just percentages that tease me by not being 100 percent. 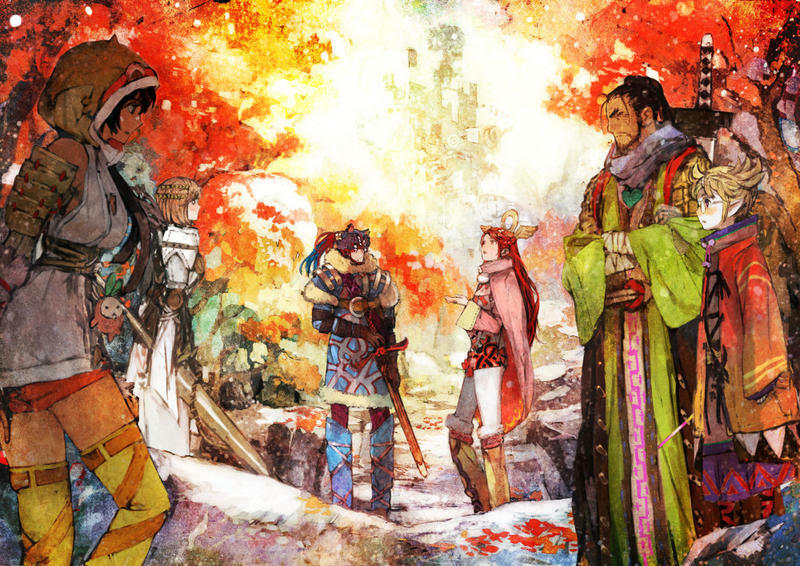 I Am Setsuna passes another “classic JRPG test” in that I find myself humming the game’s soundtrack. I said it might be divisive in the review from those who are used to big orchestras and Nobuo Uematsu, but I have to hand it to Compower Tomoki Miyoshi… this guy did a fabulous job. I especially love the overworld map theme. If I had one complaint about the post-game content, it’s that Tokyo RPG Factory forgot to label all the “super boss” fights. And there are a lot of them. Each of the game’s dungeons can be revisited, and each has a super baddy lurking in the depths somewhere. Normally, you can tear through the low-level monsters like sea foam, but all of a sudden… WHAM! Different battle music, one special attack, boom… you’re dead. No preparation, no saves. “Sorry, these monsters that look exactly the same as the lower level ones were actually the super bosses. Couldn’t you tell?”No… no I couldn’t, and because I was just “tra-la-la”ing back over my journey’s early footsteps, I wasn’t being careful with my save files. I just lost 40 minutes of work because I couldn’t tell the difference between a light gray bird and a dark gray bird. Favorite team? Of course, why not!? I like using Endir despite him lacking any of the endearing personality that Crono had. He combos well, and his Cyclone skill can wipe out an entire enemy squad with the right Fluxes on it. I also use Setsuna because healing in battle is good, and like I said, Luminaire is almost game-busting once again. Generally, my third player is Aeterna because her Time Magic works well with Setsuna’s healing, and her quick attacks combo well with Endir. However, sometimes I just need to use a fun black mage and I’ll replace her with Kir for a spell… literally. One last point, and I kind of want to label this one as *spoilers* because I’d like for it to be a surprise……but I Am Setsuna has proven to me that every JRPG needs to have a “developer’s’ room.” What is that you ask? A “developer’s’ room is a secret place where all who worked on the game leave a nice message to those who played the game. Usually “thanks” or a way to ring attention to their favorite piece of the gam, but they are just a lot of fun. SaGa Frontier has the best of all time, available when you beat the game with all seven protagonists, and I Am Setsuna’s is lovely in that it actually uses 16-bit sprites to represent those who made the game. Nice touch. I’m still plucking away at this game, and I’m afraid to admit that I don’t want to see the ending. I know it’s going to be sad, and at least two characters I like are going to bite the dust. It’s inevitable… mostly because Final Fantasy X pulled me along with the same tragic rope. However, with how far this game has come in regards to the optional content and how well it is tempting me to uncover it all, the only thing holding it back from being a potential classic is a disappointing ending. Bravely Default can blame the entire second half of the game in that regard! Somehow, I don’t think that’s going to happen here. 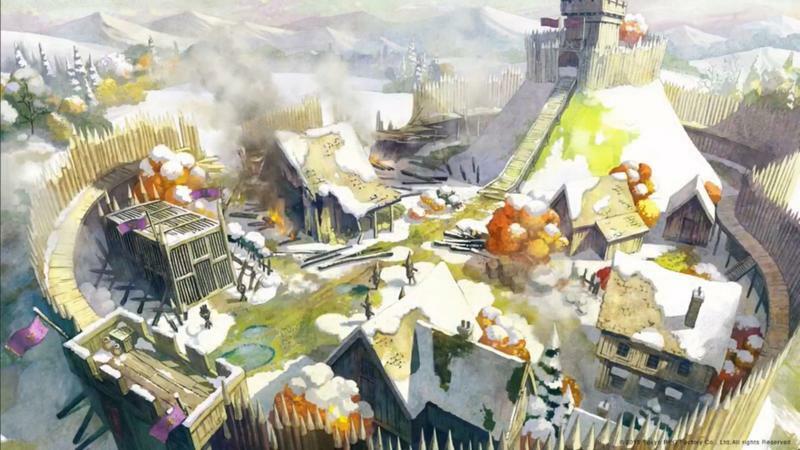 Tokyo RPG Factory has proven to be worth it’s salt in storytelling up until this point, and I Am Setsuna’s tale will take it across the finish line as a sentimental favorite for years to come.